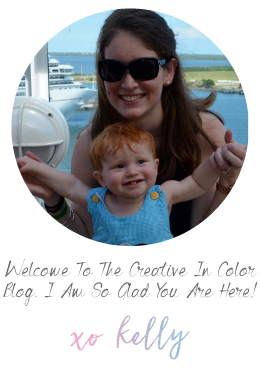 I found this great printable fall bucket list recently while browsing pinterest. You can find it here. I am kind of stretching the definition of the word "project" here since I pretty much just printed the thing and cut it out. But hey, if it requires the use of a paper cutter (or scissors) I'd say it gets craft project status. 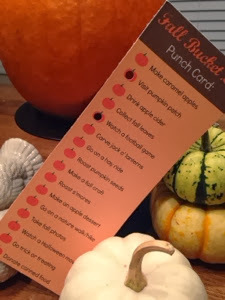 The card has little pumpkins you can "hole punch" through as you complete the various activities. Not sure we will get through them all considering what our October schedule looks like, but hopefully we can "punch" through quite a few. And hey it is the first day of October and we have already checked two off the list. I love fall and all the fun activities that it brings!